While I’m a big fan of deep value dividend blue-chip investing, there’s a big difference between a great buy and a value trap to avoid. The post 2 Dividend Blue-Chips Worth Owning And 1 I’ll Avoid No Matter How Cheap It Gets appeared first on Dividend Sensei. © Copyright Daily Traders Edge. All Rights reserved. 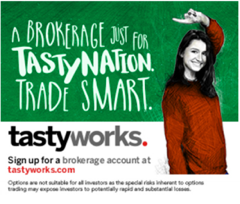 tastyworks, Inc. (“tastyworks”) has entered into a Market Agreement with Adam Mesh Trading (“Marketing Agent”) whereby tastyworks pays compensation to Marketing Agent to recommend tastyworks’ brokerage services. The existence of this Marketing Agreement should not be deemed as an endorsement or recommendation of Marketing Agent by tastyworks and/or any of its affiliated companies. Neither tastyworks nor any of its affiliated companies is responsible for the privacy practices of Marketing Agent or this website. tastyworks does not warrant the accuracy or content of the products or services offered by Marketing Agent or this website.